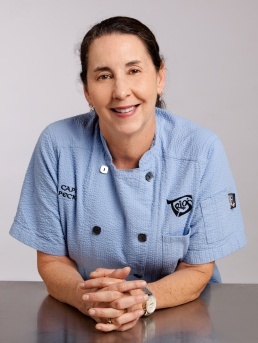 Capi Peck is a Little Rock native who calls herself a “self-taught good cook” with deep culinary roots. Her love of great food, cooking and the hospitality business grew from her childhood experiences at her family’s establishment, the Sam Peck Hotel. Capi’s grandparents ran the well-known downtown spot that brought a cosmopolitan flair and grand cuisine to Little Rock from the 1940’s until they sold the hotel in the 1970’s. As a tribute to her culinary roots, Capi serves some of Sam Peck’s creations at Trio’s, the restaurant she opened in Pavilion in the Park in 1986 with her partner, Brent Peterson. Trio’s has won many awards during the last 30 years and was recently named Best Farm to Table restaurant in the state of Arkansas by Travel and Leisure. Capi was elected in 2016 to serve as Little Rock City Director for Ward 4. She also serves as Chair of the Little Rock Advertising and Promotion Commission, the governing body of the Little Rock Convention and Visitors Bureau. Other commissions and boards she currently serve on include the Little Rock Zoo, Parks and Recreation and the Central Arkansas Library System. She is a volunteer chef with for the Arkansas Hunger Relief Alliance and is involved in many community and charitable organizations. In May of 2018, Capi was named a Paul Harris fellow by Little Rock Rotary 99 in recognition of her work and advocacy in the community. Her most recent project is Operation Song Little Rock, a non-profit based in Nashville that pairs professional songwriters with veterans and active military to help them tell their stories through song. In December 8 of this year, Capi will be the grand honoree of Bridging Worlds: the 15th Annual Jane B. Mendel Tikkun Olam presented by the Jewish Federation of Arkansas. Tikkun Olam means reparation of the world in Hebrew. Capi is passionate about everything she does and enjoys being an ambassador for Little Rock. She is extraordinarily proud of the longevity of Trio’s, now 32 years old. Her staff and her customers are her extended family. She often tells people that she feels as though she has the best job in the world in spite of the long hours and hard work because she can connect with so many people and give back to them and the community with great food and genuine southern hospitality.